Remove After Wax Cleaning Wipe is enriched with herbal that oils cleans the residues on the skin after liposoluble wax application. The product, in the form of disposable wipes, moisturizes the skin with the natural oil Brassica Napus and provides basic skin care. About the Brand: Founded in 2006 and focused mainly on resin based natural liposoluble wax products, TredA's aim is to make consumer's life easier with brands like Blenior and Remove that ensure comfortable depilation process. 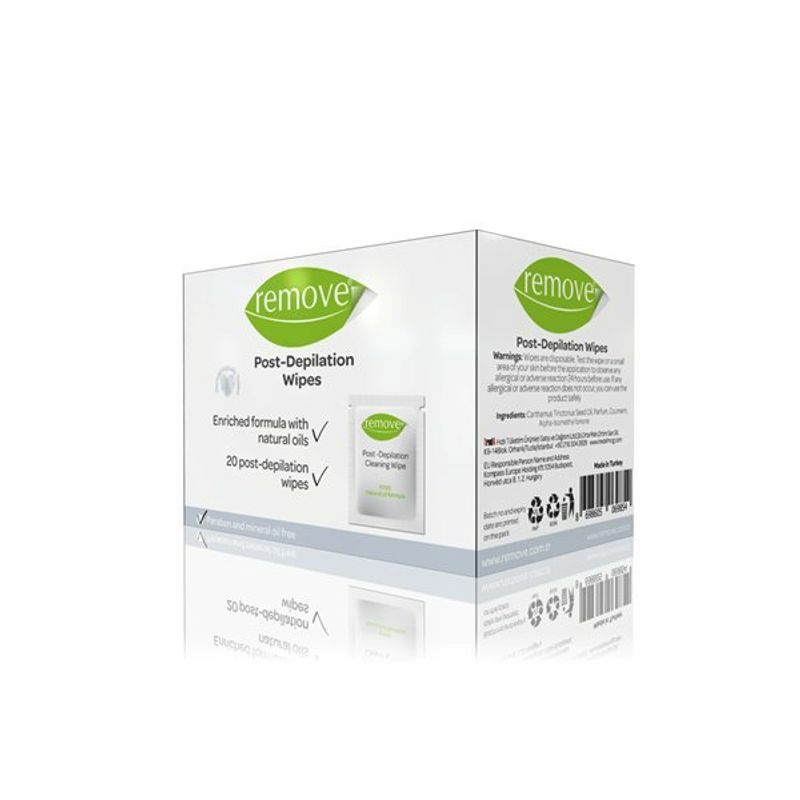 TredA's new brand Remove approaches depilation in 2 phases: "Preparation to depilation", "depilation" and "after depilation". 'Remove' brand is for self-confident people perceiving the life in a different way, prioritize innovation in its different depilation products. Explore the entire range of Shaving & Hair Removal available on Nykaa. Shop more Remove products here.You can browse through the complete world of Remove Shaving & Hair Removal .